AnaLee Balut, owner and designer of ALB Dream Fashion has just reopened her sim after a renewal and O…M…G…what a fun sim it has become! It was always a very unique and exotic sim which I enjoyed exploring when I visited her store. But now she has added many fun things to do and not only that, the market place is like those small but fun shopping areas with narrow alleys and lots of stairs that can make a stroll so enjoyable! 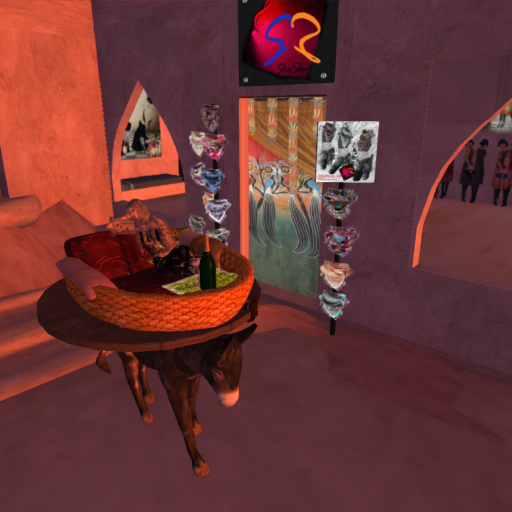 Let me try to list it…she has a donkey ride and a camel ride that takes you through the sim and explains the RL places that AnaLee took the hint from. She also has a hang-glider that you can rez and fly around the sim with. She has LOTS of animals…and I mean LOTS! An elephant, a rhinoceros, dolphins and lots and lots of donkeys. She has lovely cuddle areas, exotic palaces and oh so much to see and explore! Of course, the ALB Dream Fashion store is located on this sim too and offers as much of exotic pleasure as the sim itself with its colourful and unique designs that AnaLee is so well-known for. 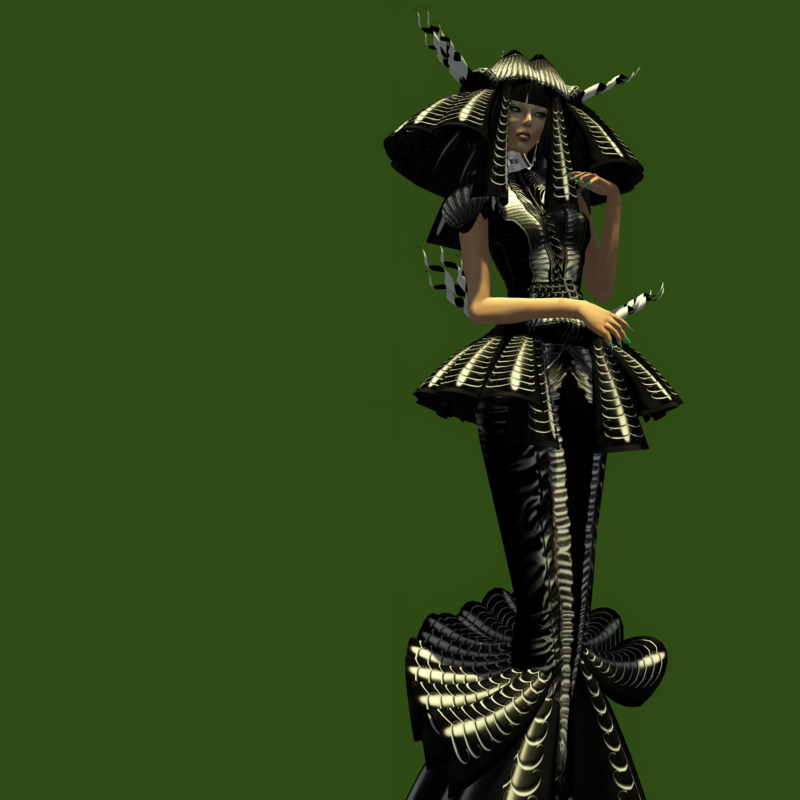 If you have followed modeling or fashion in SL for some time, you will know that Mimmi Boa won Miss Virtual World 2009 by wearing AnaLee’s off-the-rack gown when every other finalist ran to get a custom gown made for them. So what’s more befitting than to introduce one of her latest designs called ALB Muse Dress that fits the exotic atmosphere of the sim so perfectly! It’s not just befitting. Just take a look at the details of this garment and how real the scarf looks with its transparent material that is embroidered with detailed designs. The texture of the fabric used is also simply amazing. To style this gorgeous outfit, I used an Egyptian-type makeup from a.e.meth that truly completed this look. By the way, this is a snapshot of me enjoying my donkey ride. Just beware though…this donkey stumbles a lot so hang on tight! 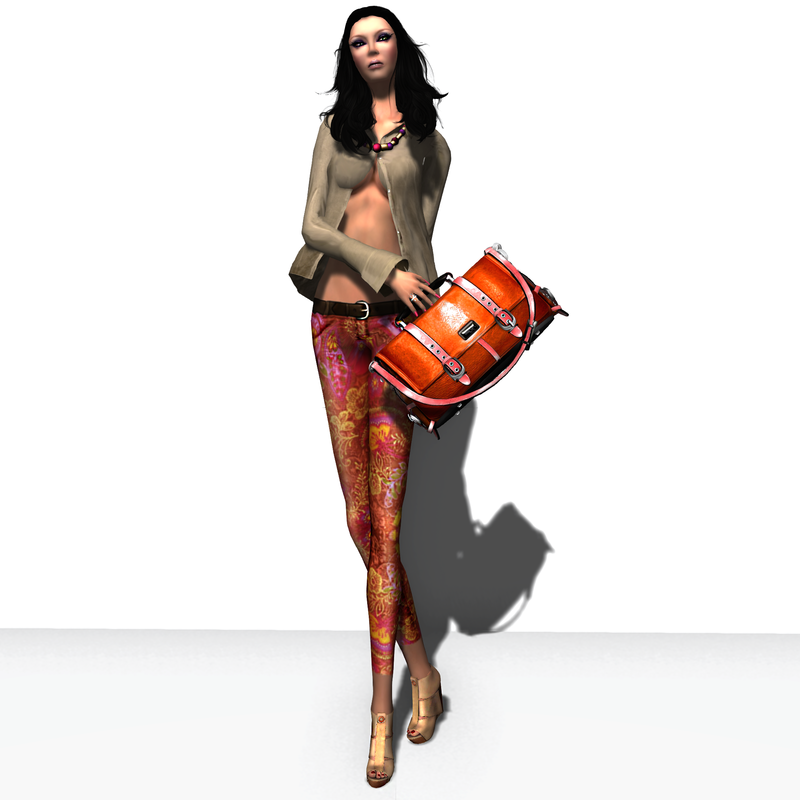 *I only used a black hair base for this outfit and therefore no hair is listed. Mea Culpa has released a new gown called “Time Warp”! I am assuming the name comes from the head accessory which must be inspired from the shape of a Japanese Kabuto (head gear in Japanese armours worn by the head samurais) in the samurai days. In contrast to the valiant head accessory, the outfit is a very elegant mermaid gown, making this outfit very appealing and interesting to style. .Posted by Kay Fairey, Agency Director and model for Boulevard Agency, Miss Virtual World Modeling Academy Executive Director, LOOK Elite Models COO, Fashion Editor for the Best of SL Magazine, Producer and Host for “SLTV Fashion Style – The Runway” which is a bi-weekly live fashion program by Second Life TV in SL Japan.